Student Organizations wanting to schedule meetings and/or sponsor special events throughout the academic year should consult with the Office of Student Involvement to receive guidance on how to plan an event, appoint an approved event scheduler, and request a room and Facilities and Media resources through the Facilities Calendar. Faculty and Staff can go to the Facilities Calendar and login to EMS to request rooms for unscheduled class sessions or labs, departmental meetings, or events. Media and Facilities resources can also be requested through the online form. Step-by-step instructions for finding a space and making a request are available via the help menu or can also be downloaded here. If you have questions regarding the Facilities Calendar or using EMS please contact the Facilities Coordinator at bookaroom@kzoo.edu or (269) 337-7138. 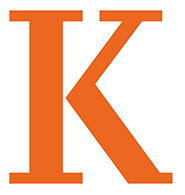 Kalamazoo College Students wishing to request a study space or group meeting location should contact the Facilities Coordinator at bookaroom@kzoo.edu or (269) 337-7138. Under certain circumstances, members of the greater Kalamazoo community may be able to rent venues on campus for special events. For more information, please contact the Facilities Coordinator at bookaroom@kzoo.edu or (269) 337-7138. Media Requests: A Facilities Request must be confirmed before a Media Request can be made. Media esources can be requested via EMS while making a reservation or by contacting Media Services directly via email at kmedia@kzoo.edu or by calling (269) 337-7138. See this list of available media equipment by campus location.